Black Bowling Ball Bank is 4" Tall. There is a removable black rubber plug on underside to take coins out. Hi! Unfortunately, we do not have that ball in stock. We apologize for the inconvenience. Hello. Unfortunately, we do not have anything smaller than this one. 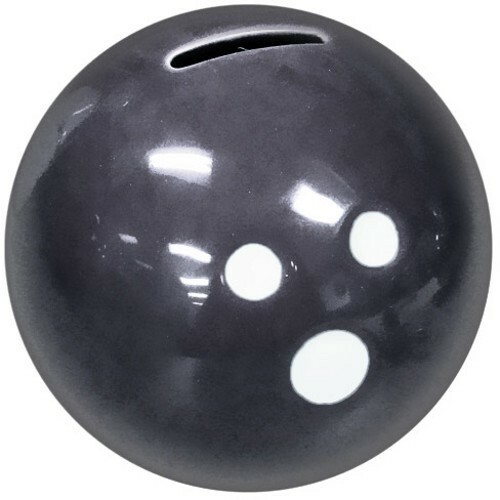 Due to the time it takes to produce the Ceramic Bowling Ball Bank-Black ball it will ship in immediately. We cannot ship this ball outside the United States.